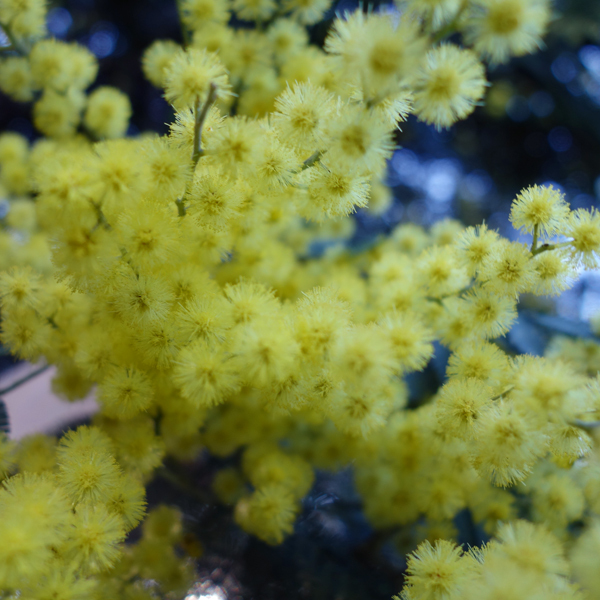 It’s spring again, and again I’m drawn to mimosa and mimosa-centric perfumes. Of course, our spring comes after our winter, so the change is not as drastic as it happens in many other areas. It reminds me of those make-believe magazine recommendations where a model in a perfectly fitting “simple” frock effortlessly “dresses it up” with a tiny accessory – which would never work for us, mere mortals, for whom anything like that requires careful planning and meticulous execution. Same happens with the season change here: our nature just carelessly put on a floral lace wrap – and got all beautiful for the spring party. I have enough mimosa perfumes in my wardrobe: Givenchy Amarige Harvest Mimosa, Frederic Malle Une Fleur de Cassie, Guerlain Champs Elysées and Jo Malone Mimosa & Cardamom are perfumes I discovered during my previous three takes on the topic. One would think that it should be sufficient – and it is: I do not actively seek that note any more. 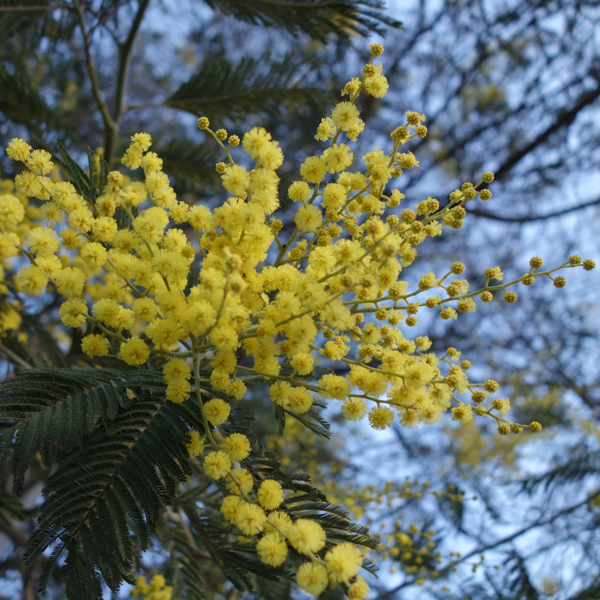 But every time I hear about a new mimosa perfume, I just cannot pass on it. Especially when it comes from brands I like. Prada launched Infusion de Mimosa last year in their Les Infusions de Prada collection. Thanks to a friend, I’ve got to test it long before a couple of luxury retailers started offering it in the U.S. (and I’m yet to see it in the actual store). I like it a lot. It doesn’t always work – to combine two good things, but in this case it does: it is still unmistakably the beautiful Infusion d’Iris’s relative, even though there are almost no notes in common listed, but also it has a wonderfully true to natural mimosa aroma – airy and intense at the same time. What I especially like about Infusion de Mimosa is that it feels summery without being citrus-y cologne. When I smelled Mimosa Indigo by Atelier Cologne for the first time, I was utterly disappointed: it was not what I expected or wanted it to be; and I could smell absolutely no mimosa in it. Since I do not write perfume reviews, I do not always give perfumes another chance if I didn’t like them on the first encounter, especially if I don’t have a sample at home. With the number of new releases out there, I just do not usually bother with getting a sample of something that didn’t wow me on the first try. But I like Atelier Cologne, and that purple color just spoke to me… After a couple of shopping trips, during which my nose stayed glued to my wrist, I bought a bottle of Mimosa Indigo (thankfully, they have 30 ml bottles). I like it and enjoy wearing it. I think I can smell some mimosa in it but I wouldn’t be able to call it without reading a list of notes. It’s an interesting floral perfume on a gentle almost suede base. 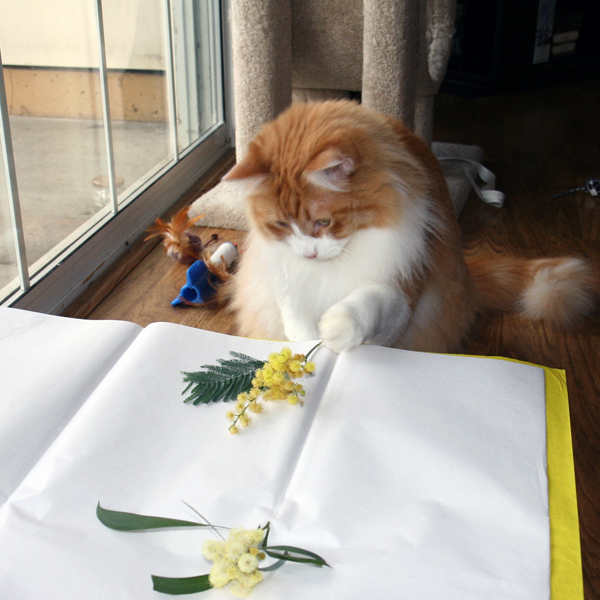 I do not need more perfumes – with or without prominent mimosa note. 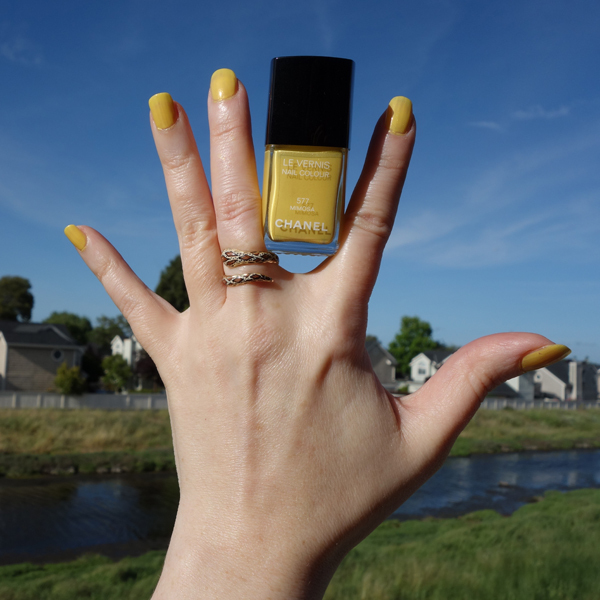 But I know that the next time one of my favorite brands releases their take on this flower, I’ll be tempted – the same way I was tempted by Chanel’s limited edition nail polish called Mimosa. They got the color perfectly: it’s definitely spring in a bottle. Last March I tested several perfumes with a dominant mimosa note in them. 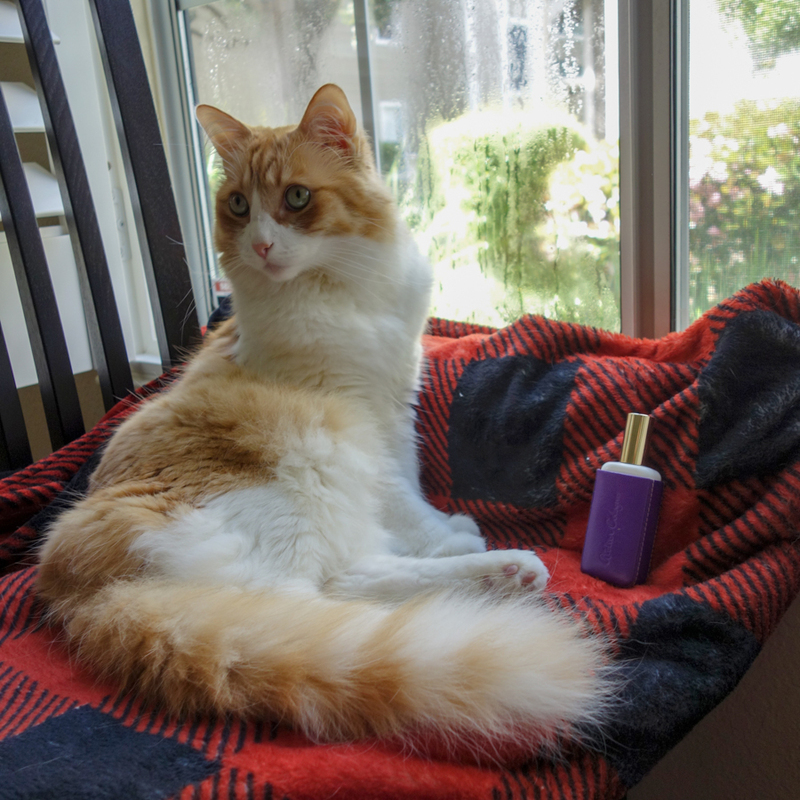 I tried Amarige Mimosa 2007 by Givenchy, Mimosa by Calypso Christiane Celle, Mimosa pour Moi by L’Artisan Parfumeur, Le Mimosa by Annick Goutal, Library Collection Opus III by Amouage. I didn’t find the perfect mimosa and stopped looking for a while. Half a year later I got a vial of mimosa absolute as a part of Laurie Erikson’s (Sonoma Scent Studio) Nostalgie testing. That was when I started questioning my memory of the scent. Mimosa absolute didn’t smell the way I remembered real mimosa blooming branches did. 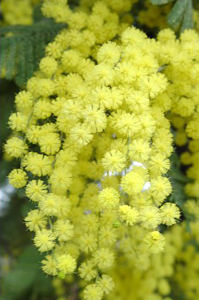 To my nose mimosa absolute smelled flat, single-dimensional and dusty. 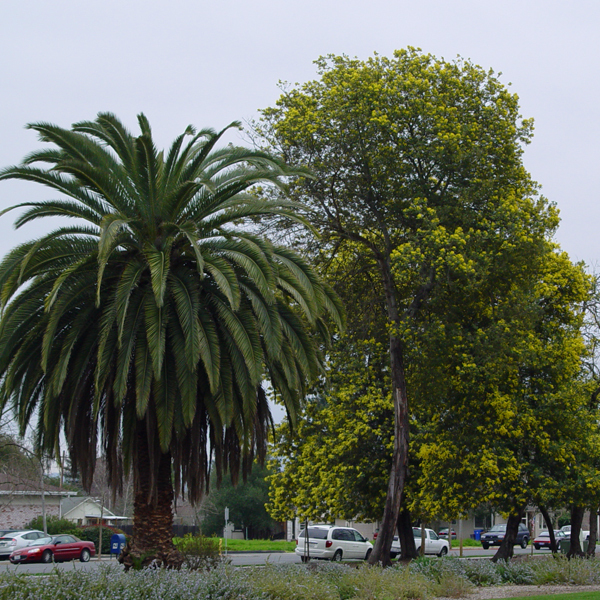 There are several mimosa trees not too far from where I live. I was driving by them all February long planning to stop one day and smell real flowers. 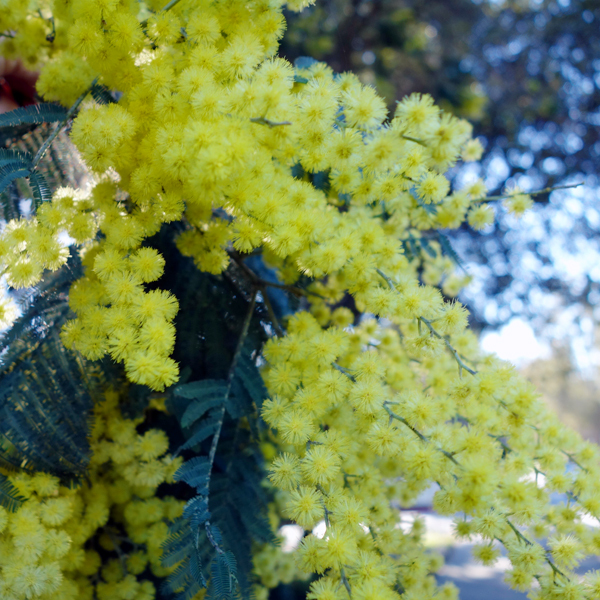 Ten minutes drive plus two minutes walk and I could smell all the mimosa I wanted… Mid March I realized that I almost missed it. I drove there, walked to the tree, reached the branch, pulled it to my face, inhaled… and had to admit that I waited for too long. Flowers were still there, I could see and touch them but the scent was almost gone. Despite my vSO’s protests I snapped off a twig and pressed it against my nose. 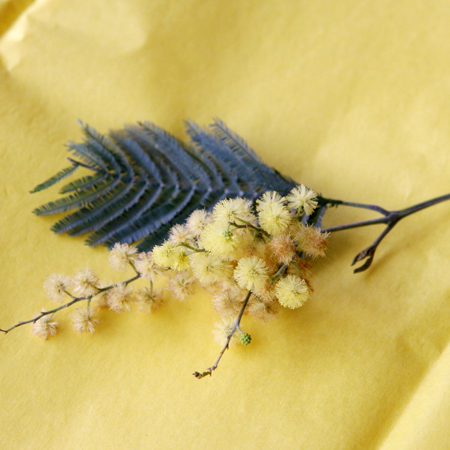 There was a faintest scent of mimosa flowers mixed with the smell of greenery and a twig itself. 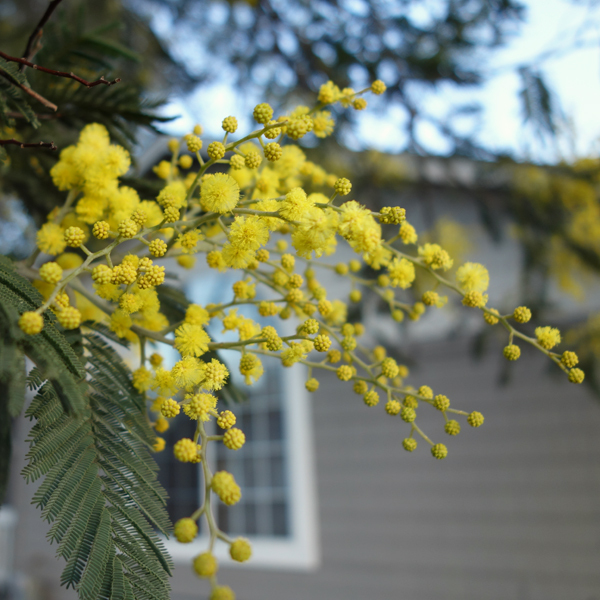 I could barely smell mimosa itself but it helped me to figure out why both mimosa absolute and many perfumes with mimosa smelled “wrong” to me: mimosa from my childhood was a full tree experience, not just flowers on their own. I tested several more perfumes with a prominent mimosa note. I think now I can appreciate better the more complex compositions that feature mimosa but go beyond being a soliflore. Une Fleur de Cassie by Frederic Malle – created by Dominique Ropion in 2000, notes include mimosa absolute, jasmine absolute, cassie absolute, rose absolute, carnation, vanilla and sandalwood. I think I like it but it’s not an airy floral perfume: I smell something heavy, grounded and substantial. I’m half way through the official sample and still don’t know if I need a travel bottle of it in my collection. If you need information, read Victoria’s precise and very descriptive review. If you need an inspiration you just cannot miss Suzanne’s captivating piece. Mimosa by DSH Perfumes – created by Dawn Spencer Hurwitz, notes include acacia, broom, cassie, French linden blossom, mimosa, iris, sandalwood, tonka bean and vanilla. I can’t find it any longer on the DSH Perfumes’ site so I’m not sure if it’s still in production. I think it’s a pleasant but not distinct enough scent. One of those perfumes that you pick up on the spur of the moment from a boutique during your vacation in a small town by the sea, enjoy wearing it while it lasts and keep a warm memory of it once it’s gone. Tiaré Mimosa by Guerlain – created in 2009, a part of Aqua Allegoria collection, notes include lemon, pink pepper, tiare, mimosa, musk and vanilla. Warum was kind to send me a sample of it when I was on my quest for a new Guerlain love. I liked the nice combination of citrus and flower notes and even contemplated skipping all the wish list’s lines for an affordable bottle of this perfume… but then I got to test the perfume I’ll describe next… and I do not want Tiare Mimosa any more. Champs Elysées Parfum by Guerlain – (re)created by Jacques Guerlain and Jean-Paul Guerlain in 1996, notes include peach, melon, violet, anise, mimosa, rose, peony, lily of the valley, vanilla, benzoin, cedarwood and sandalwood. I told the story of me falling in and then out of love with Champs Elysees. Recently I decided to try it again. I wore Champs Elysees in two concentrations – EdT and parfum. For my nose they are very similar but I like parfum a little more – it’s smoother and more blended. I think I might be falling back in love with this bright, loud and cheerful perfume. Victoria (EauMG) also likes Champs Elysees. Next year I won’t miss it! Now I know that two different types of mimosa grow close-by. If you previously reviewed any of these perfumes please share links.